A little known fact about New Zealand is that gardening is rated as one of New Zealanders’ favourite pastimes. If you enjoy getting into the garden or just appreciating other people’s gardens, you will enjoy your visit here. Many cities and towns have garden tours where you can visit botanic gardens and private gardens alike with the gardeners sharing their love of what they grow and how they grow it. The rural garden tours of Eastland, Manawatu, Whanganui, Wairarapa and Christchurch – Canterbury are often hosted by residents of stately historic homesteads. Our accessible garden tours mean that everyone can experience the stunning array of flora and fauna New Zealand has to offer. Many of the gardens we visit have wheelchair access or have wheelchairs available for hire should you need. We can create a tour especially for you with your gardening interests in mind. Contact us to discuss. For five days each March, Christchurch’s North Hagley Park is home to one of the world’s best flower shows and horticultural events – the Ellerslie International Flower Show. The annual gardening and lifestyle extravaganza attracts a global audience of garden designers, garden lovers and international media, championing the best of garden design, garden trends and new products. Most importantly, the Ellerslie International Flower Show provides the horticultural, floral, landscape design and construction businesses with the opportunity to showcase to the world the best of what New Zealand has to offer. 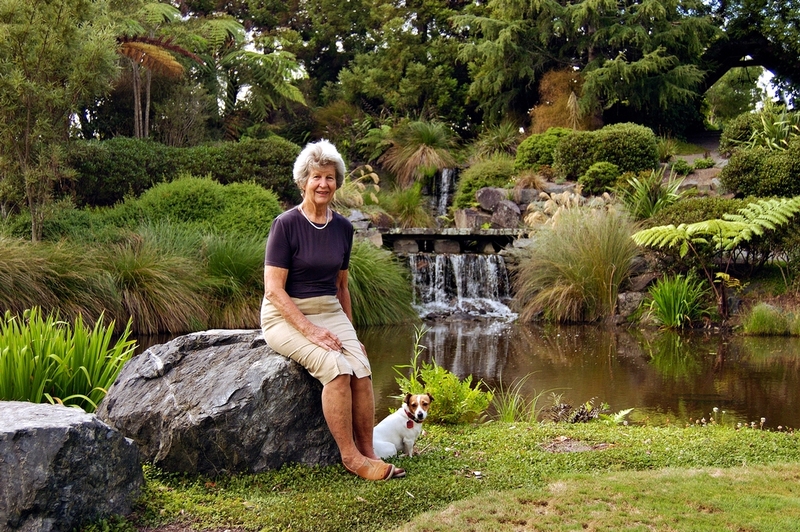 Ellerslie has built a reputation as New Zealand’s annual flower show and just like the famous Chelsea Flower Show in London forecasts the latest garden design trends and plant fashions. A loop of the gently-flowing Avon River, criss-crossed by bridges, encloses a large part of the Gardens while the adjacent 164 hectare Hagley Park enhances its natural splendour. A 53 hectare public park bordering Waikato River. There is a lake, rose garden, Chinese garden (Sung Dynasty), Japanese garden and English flower garden in the Arts and Crafts style. These gardens are fully accessible with scooters and wheelchairs available on site for hire should you require. 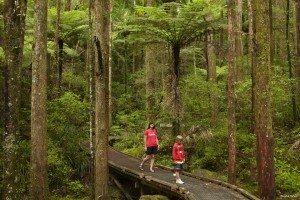 Ngamamaku Garden is nestled below the Kaitake Ranges adjacent to Egmont National Park. The site is very historic. The garden faces North West and looks down towards the Tasman Sea. The area of the garden is approx. 1.2 hectares (3 acres) and has been developed from scratch over the last eighteen years. It is a mixture of natural native bush and formal gardens. The most recent development is the Japanese Garden built in early 2004. Much of the garden is wheelchair accessible. Established in 1951, this popular garden specialising in rhododendrons is dramatically situated on the lower slopes of Mt Egmont in 320 hectares of rain forest. Pukeiti is a Garden of National Significance Founding Garden.